How old is KWNK? and when do you broadcast? We launched on October 31st of 2017 with the help of Open Sky Radio. We broadcast from 4pm to 4am daily. I really liked a show I heard on the air. Can I listen to it again? KWNK has an archive of all previous radio shows on this website. If you would like to stream previous shows, support the station by becoming a KWNK Member. Can you play my band’s music? How can I get my own radio show? KWNK won’t be accepting show applications until the fall, but we have many other available opportunities to get involved. If you are interested in becoming a volunteer, visit the get involved page.  “KWNK is made possible in part by the Reno Bike Project, a non-profit community bike shop and resource for the Truckee Meadows committed to creating a cycling-friendly community through workshops, bike rentals, and mechanical expertise. If you are interested in having your business underwrite on KWNK check out our business support page. We are located at 1717 S Wells Ave in Reno, Nevada.